Picture from simon3 : Pockmarked surface of Copes Mountain. Picture: Pockmarked surface of Copes Mountain. The area around the summit of Copes Mountain looks like a battlefield, with 2 to 4m deep craters. 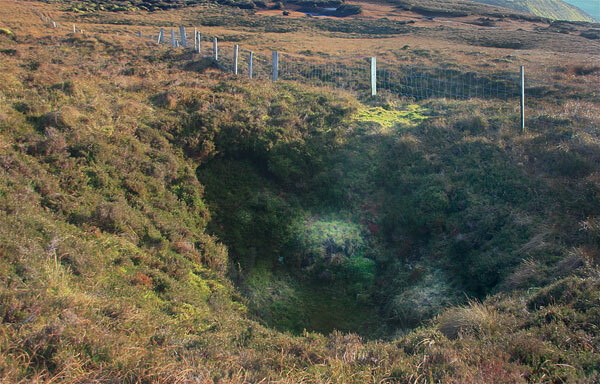 The bog appears to be only 1 to 2m deep so these depressions must be holes in the underlying limestone.